(U.K.): The Oxford University Endowment Management, OUem, a university subsidiary established to manage the funds, does not have direct holdings in coal and oil sands companies and has been asked by the university's executive governing body to maintain this position. The decision to divest the university's $66 million endowment from fossil fuels came after a task group comprised of university regents, students, faculty and staff investigated divestiture. The group worked closely with the board's investment firm to evaluate options and impacts, and affirmed to take action in investing in renewable energy, energy efficiency, and changing behaviors. (U.K.): After a recent meeting of the university's Investment Committee, it decided to write to three of the world’s biggest fossil fuel producers to inform them that it intends to fully divest from their activities within the next six months. As part of its promised engagement process prior to divestment, the university will give the companies the opportunity to respond in the next four weeks. 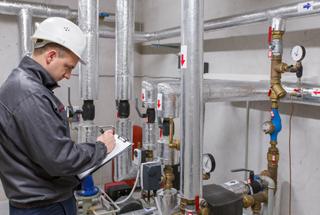 In this recent article from the National Association of College and University Business Officers, University of La Verne, Western Michigan University, University of Minnesota Twin Cities, Denison University, University of Vermont, and AASHE associate member, Efficiency Vermont, are highlighted for revolving loan funds that cycle savings from energy efficiency improvements into new projects. 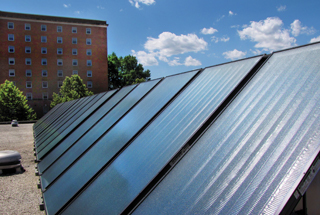 The two grants from Maryland Energy Administration are aimed at reducing energy costs at the College Park campus. The grants will be administered by the university’s Department of Engineering & Energy for an energy management project and a parking lot photovoltaic array with electric vehicle chargers. The university is the recipient of a 2015 recycling bin grant from the national nonprofit Keep America Beautiful and the Coca-Cola Foundation. The university will receive 75 bins and distribute them to the Thunderbird School of Global Management to boost recycling program collections. The university's Board of Regents recently voted to prohibit direct investment of endowment funds in publicly traded companies whose principal business is the mining of coal for use in energy generation. Three New York colleges will be receiving grants to fund innovative environmental projects as part of the recently completed spring round of the College Council Grant Program conducted by the New York State Association for Reduction, Reuse and Recycling (NYSAR3). The schools receiving grants are the University at Albany, Sullivan Community College, and Stony Brook University. While 22 U.S. colleges and universities have agreed to sell their shares in oil and coal companies, more than 50 have committed themselves to efficiency projects on campus through a special financing method called green revolving funds. 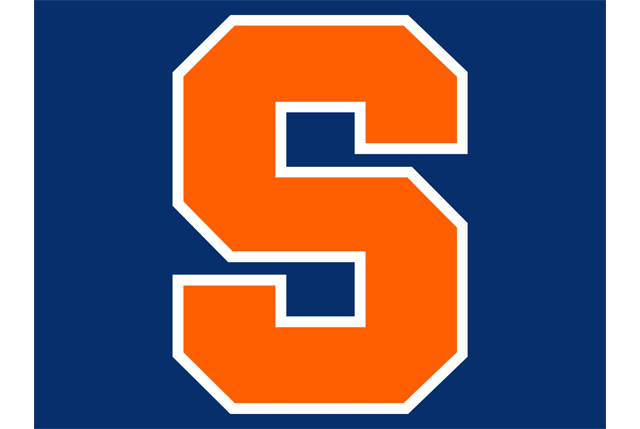 Syracuse University recently announced that it is formalizing its commitment to prohibit direct investment of endowment funds in coal mining and other fossil fuel companies. The university will also continue to seek additional investments through its endowment in companies that are developing new technology related to solar energy, biofuels and advanced recycling. In 2014, $540,654 in environmental projects were completed including the installation of new bike racks to putting in motion censored lights in the library. The funds also pay for a staff member to manage the recycling program the campus offers. The new endowment for the Los Angeles university will be allocated in perpetuity to provide funding for a faculty member to research urban sustainability and serve as foundational funding for a proposed Institute for Urban Sustainability. The university's Center for Sustainability recently received the gift of seeds from Territorial Seed Company that will allow the university to grow fruits and vegetables to be distributed at a weekly low-cost farm stand to students, distributed to Dining facilities, and sold to faculty and staff through a community-supported agriculture program. A recent survey showed nearly 4 out of 5 voting students said they were interested in paying $2 to a green fund that would be available for student-led sustainability projects. As a result, the Environmental Sustainability Committee is exploring two options for implementing the fee. Started in 2011, the university $20,000 annual budget fund aimed at furthering campus sustainability chose four projects in its first year of operation: a composting program, increasing plants in classrooms, the campus garden, and participation in the Real Food Program. The Brevard College Investment Committee presented the motion, calling for divestment of its four percent in fossil fuels by 2018, to the board of trustees, who voted in favor at its annual spring meeting. The newly approved fund, approved by 80 percent of the 600 students who voted on the initiative, will be created by a dedicated $20 per student per semester fee and will be allocated on a competitive basis to large sustainability projects designed by students, faculty and staff. The recently received $500,000 donation from university alumni will enable the university to implement energy conservation practices and technology into the new campus. In an effort to fully implement an environmental, social and governance (ESG) investment strategy, the pledge commits the university to measuring and annually disclosing the carbon footprint of its investments with the goal of using this information to inform carbon asset risk and management strategies. The university also recently joined two other sustainable investment efforts: the Investor Network on Climate Risk and the Carbon Disclosure Project. (U.S.): The recent installation of 12 electric vehicle charging stations and replacing turf with drought-tolerant landscaping have earned the university more than $360,000 in rebates from the Los Angeles Department of Water and Power. (U.S.): The university's Campus Kitchen Project, a student-led effort to combat food waste and hunger by collecting surplus food from on-campus dining halls, community gardens, restaurants and grocery stores and transforming it into meals, recently received $5,000 from CoBank for program development. (U.S.): A new $103,000 gift from the Mitsubishi Corporation Foundation for the Americas allows the university's naturalist courses to expand by adding two part-time coordinators for the Central Valley courses, and buying equipment like field notebooks, binoculars and other supplies. (Australia): After a recent review of global trends in green energy movement and a student referendum that resulted in 80 percent of students favoring fossil fuel divestment, the university recently stated that it will reduce its carbon footprint by 20 percent through divesting from fossil fuel investments over the next three years. The university's Environmental Action Group proposed the expansion of the university student green fund, an optional $5 per semester, to allow alumni and community members to contribute to it. Albion College, Antioch College, DePauw University, Hope College and Oberlin College have received funding from the Great Lakes College Association for a collaborative project, Expanding Collaboration Initiative, that fosters programs of teaching, research and outreach across college campuses to heighten awareness of how human behaviors affect the well-being of the natural environment. 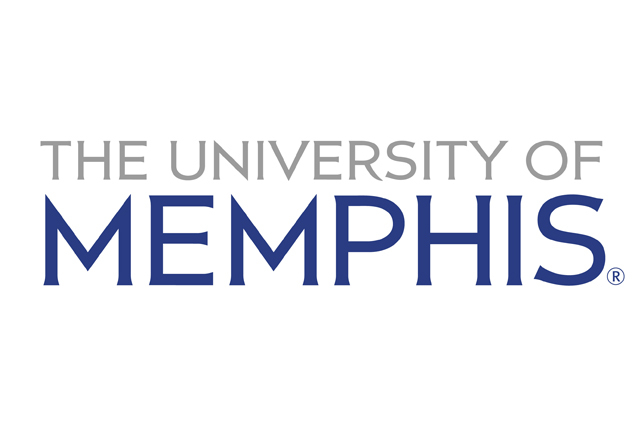 As a result of the university's work on its new strategic plan and update of its statement of institutional values, the university's Foundation Board directed its investment managers to divest from all fossil fuel holdings. Building on an initial three-year seed funding of $750,000 that established the Center for Business Strategies for Sustainability, the university's College of Business will now be known as the Ray C. Anderson Center for Sustainable Business after the foundation committed $5 million. The university's Green Fund Annual Grant program was given about $400,000 from student tuition for student and faculty projects that will increase campus sustainability and sustainability in the surrounding community. The university's Facilities recently awarded $15,610 to four projects that include moveable bike racks to increase biking as a mode of transportation, two electric vehicle charging stations in a student parking lot, a bike tire pump, and videos that raise awareness about alternative transportation options. The university's Foundation Board of Directors passed a resolution recently to proceed with the removal of foundation investments, direct and indirect, from the top 200 public coal, oil and gas companies within the next four years. Administered by the New York State Environmental Facilities Corp., the university has received $910,000 Green Innovation Grant Program funding for the installation of a 1,700-foot-long vegetated swale to reduce the risk of flooding from a 21-acre, high-density area. The project is part of a larger university effort to address the issue of runoff by integrating stormwater management across the curriculum. The recently awarded funding will go toward building a strategic base of water knowledge to help California and the nation achieve a water-secure future, and funding renewal for the university's Advanced Solar Technologies Institute. The university's Foundation recently established the fund to invest in companies that hold the principles of environmental, social and corporate governance factors. Agnes Scott College, AASHE, EARTH University Foundation, Furman University and Georgia State University Foundation were five of 23 awardees to receive funding for projects that consist of employees and volunteers providing environmental education, conservation and remediation. The inaugural Sustainability Challenge Grants were dispensed by the President's Sustainability Advisory Committee to seven projects that will attempt to build sustainable food systems and bus stops on campus, plant trees, and revive a community garden. The university's board recently declared a commitment to shift 10 percent of its overall investment portfolio, including mutual funds, to green funds, defined as those with no holdings in fossil fuels. Massachusetts Energy and Environmental Affairs (EEA) recently awarded $873,000 in Pathways to Zero Grant Program grants to construct or complete zero net energy buildings, which are optimally efficient, and over the course of a year, generate energy onsite using clean renewable resources in a quantity equal to or greater than the total amount of energy consumed onsite. Awardees include Endicott College, Massasoit Community College, Bristol Community College, Holyoke Community College, Cape Cod Community College and Clark University. Agricultural students at the University of Massachusetts, Hampshire College and Holyoke Community College will benefit from an $810,000 National Science Foundation grant to create collaborative programs combining clean energy studies with sustainable agriculture. The grant will also purchase new clean energy and agriculture equipment, a solar-powered, moveable greenhouse and a small wind turbine. In December 2014, the university will enter the market to sell approximately $29 million in green bonds to fund a portion of the estimated $35 million renovation of one of its campus buildings, which is expected to earn a LEED designation. (U.S.): The U.S. Environmental Protection Agency awarded Rutgers University $117,000 to develop an online tool to help communities and government agencies identify industrial facilities that may be especially vulnerable to releases and discharges of hazardous materials due to climate change impacts, such as storm surges. With the help of a $90,000 EPA grant, Rowan University will assist the specialty chemical industry in reducing the toxic chemicals they use by using green engineering. (U.S.): With funding from the university's Sustainability Fund, five new bins, carrying a combined $6,800 price tag, will be permanently placed various sporting venues across campus after having been recently approved by the Student Senate. (U.S.): After passing a student referendum in 2013, the university's sustainability fund committee, comprised of eight students, is now accepting proposals for projects that cost up to $60,000. The university's College of Engineering was awarded a $2.5-million grant from the U.S. Department of Education to promote graduate education for underrepresented minority students interested in water conservation and sustainability. The grant is dubbed MENTORES (Mentoring, Educating, Networking, and Thematic Opportunities for Research in Engineering and Science), and aims to encourage underrepresented minority students to pursue master’s and doctoral degrees by providing additional resources, such as tutoring, stipends and paid internships, as well as developing a pipeline with universities that have doctoral programs. The General Motors Foundation recently awarded Michigan Technological University a $100,000 grant through its University/Organization Partner Program that will support the university's Advanced Hybrid Electric Vehicle and Advanced Motorsports Enterprises, Environmental Engineering senior design programs, student groups and diversity initiatives. Joining the challenge created by Sustainable Endowments Institute and mitigating climate change through campus sustainability projects, the $15 million fund encourages changes and adaptations to the campus that replenish the initial loan amount through a return on the project investment. In an effort to minimize its environmental impact, the college's board of trustees recently created a $3.5 million Green Revolving Fund, part of a permanent endowment, that will make loans available to energy and water efficiency upgrades, renewable energy and other projects that are capable of generating significant savings. A local municipal electric corporation is purchasing renewable energy credits that will now go to fund graduate fellowships in wind energy studies through the university's College of Earth, Ocean, and Environment. Dickinson College, Emerson College, Wellesley College and Williams College are the first four subscribers to the new Green Revolving Investment Tracking System (GRITS) Affiliates program. GRITS Affiliates helps schools track their carbon, energy and financial data from their energy efficiency and resource conservation projects. For more information on accessing GRITS, go to http://greenbillion.org/gritsaffiliates/. 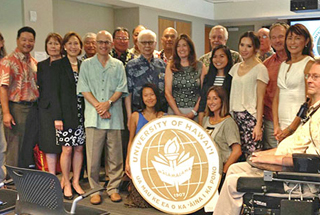 Aligned with the university system's newly-adopted sustainability policy and the campus' strategic plan, the Associated Students of the University of Hawai'i passed the resolution in support of a $4 fee per student per semester. According to an associated survey, participants listed solar energy and waste management as top initiatives for which they would allocate funding. Advocates for renewable energy recently held a rally to ask university administrators to remove fossil fuel investments in the endowment portfolio. The university responded and asked these advocates to remain engaged in these conversations moving forward.